The plastic covered jaws of this three-pronged student grade Rod Type Universal Clamp will hold objects up to 9cm. The clamp is made of aluminum and is attached to a 9.4mm steel rod. 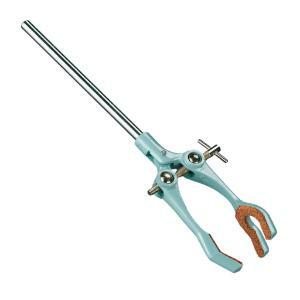 Overall length of the Universal Clamp is 26cm.